Photo courtesy of zimbio.com. 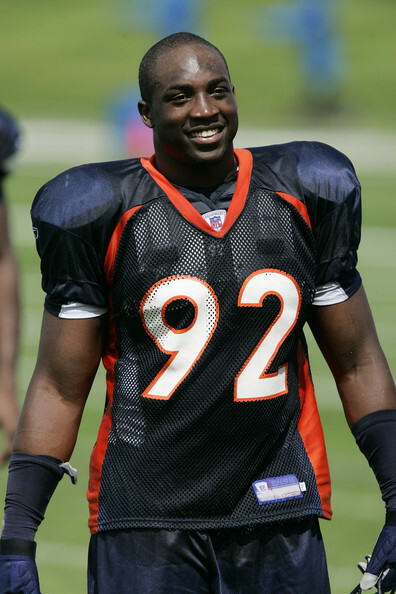 Elvis Dumervil (pictured above) was not all smiles this past Saturday. The first NFL preseason game is still 18 days away, but football is on the mind. No sport these days even comes close to rivaling the popularity of NFL football (in the USA). But with NBA free agency, MLB baseball, and The Open set to start tomorrow, one would think that the NFL would be an afterthought. Unfortunately it isn’t. I was happy to see Ray Rice and Matt Forte ink multiple year deals. They are both very deserving. Both of these major signings are not even the biggest news though. 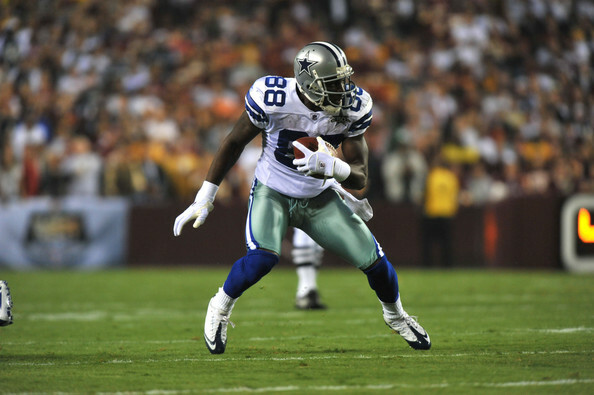 NFL news is centering on Elvis Dumervil, Marshawn Lynch, and Dez Bryant. Ever heard the expression no news is good news? In this case, it would be. Elvis Dumervil had a moment that could easily work its way into next seasons’ Jersey Shore script. Marshawn Lynch turned beast mode into DUI mode. And Dez Bryant, well he allegedly laid hands on his mother. Is there something in the water? Photo courtesy of zimbio.com. It appeared all over in Dallas after Dez Bryant (pictured above) scored on a 50-yard strike midway through the 4th. Sadly for the Cowboys, the lead did not hold up and it is a whole new ballgame in the NFC East now. On 2nd and 11, with 5 minutes and 52 seconds left, the Cowboys led the Giants 27-22. Then, Tony Romo connected with a wide open Dez Bryant for a 50 yard touchdown, as the Cowboys took a 34-22 lead with 5:41 left. The Cowboys were about to end the Giants season and take control of the NFC East. Eli Manning had something to say about that though. Manning orchestrated two beautiful drives as the Giants did the improbable, and won in Dallas 37-34, on a Jason Pierre-Paul blocked field goal. Now, it’s the Giants division to lose, and it might just come down to Week 17 when they meet again, at the Meadowlands. That wasn’t the only thrilling finish in Week 14 though. T.J. Yates, in just his second career start, threw the game winning touchdown pass to Kevin Walter with two seconds left to lead the Texans to the franchises first playoff berth. Photo courtesy of zimbio.com. 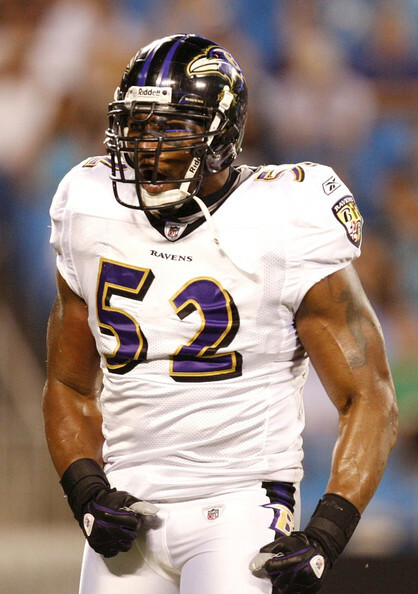 Ray Lewis (pictured above) is always excited to meet rookie quarterbacks. On Sunday, he will get his first introductions to Cincinnati rookie QB Andy Dalton. Everyone is more than aware that football is a rough sport and that the NFL is the pinnacle of physicality. But last week was flat-out bad. I cannot think of a week in recent memory where more guys went down. Despite all of the injuries though, there were some great games. San Francisco found a way to beat a tough Giants team in New York. The Pittsburgh Steelers ripped the hearts out of their rivals in Cincinnati, ending the Who Dey’s first five-game winning streak since 1988. And the Green Bay Packers continued their march towards perfection with a phenomenal showing on Monday Night Football. After Week 10, here is the scoreboard. Photo courtesy of fantasyfootballhelp.com. Not too many people are talking about the lone undefeated team in the NFL after six weeks. 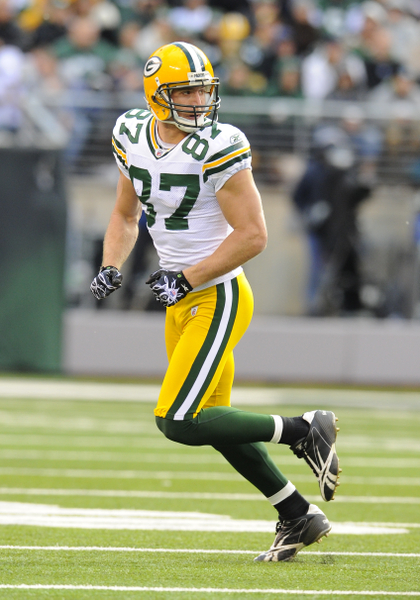 Green Bay has been simply outstanding riding guys such as Jordy Nelson (pictured above) to easy victories. Week six is in the books, and it consisted of drama–and lots of it. Some of it wasn’t even on the field itself. Following the 49ers comeback victory in Detroit, Jim Harbaugh was excited, and fiery. Apparently Lions coach Jim Schwartz didn’t like how Harbaugh shook his hand, as he continued to yell at the Niners coach all the way down the field. The two had to be broken up as they were heading into the tunnel. If you don’t know anything about Jim Harbaugh, that’s just his personality. He does things his way and doesn’t care what people say about him. Remember while at Stanford when Pete Carroll famously asked Harbaugh, “what’s your deal?” Do you think Harbaugh looks like the kind of guy who cares how he is perceived? 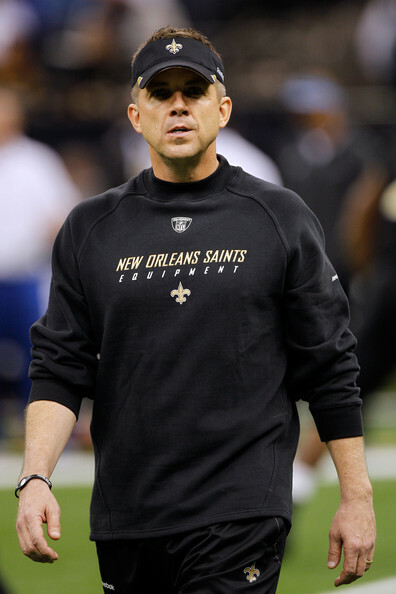 No coach has done a better job this season than him either. After inheriting a 6-10 49er’s team, and having a limited off-season due to the lockout, Harbaugh has brought football back in San Francisco. He has done with Alex Smith what neither Mike Nolan, or Mike Singletary was able to do; make him a quarterback. Can my Preseason Super Bowl Pick pull off the unthinkable and shock the Patriots in Foxborough? LaDainian Tomlinson (pictured above) will be a key to the Jet's success on Sunday. Our very own Wesley Kaminsky has already given his predictions for this weekend’s slate of NFL games. Now it is my turn. Last week had some great football games, highlighted by the shocker in Seattle. Marshawn Lynch’s run was arguably the greatest rushing attempt I have ever witnessed in my life. After making a play like that, you had to believe that destiny was on Seattle’s side.